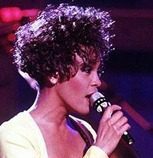 Earlier this week it was rumored that Whitney Houston’s memorial service would take place in the Prudential Center, an 18,000+ seat arena in Newark, New Jersey. Something along the lines of Michael Jackson’s memorial service, which was held at the Staples Center in Los Angeles, CA. But now it appears that the family has settled on a smaller service. A funeral at New Hope Baptist Church, where Houston sang as a child. There are expected to be about 1500 ‘invitation-only’ friends and family attending. Thousands are expected to watch the service through a live internet stream and on TV. Kristen Foster, Whitney Houston’s publicist, confirmed that the Associated Press will be allowed to have one camera inside the church. The feed will be streamed live on http://livestream.com/aplive, and will also be available to broadcasters. The service is set to begin at noon, Eastern Standard Time, this Saturday. Gospel singer, family friend and fellow Grammy winner, Marvin L. Winans, will deliver the eulogy. Houston’s godmother, Aretha Franklin, will sing at the funeral, according to her spokesman. Houston was found dead in the bathtub of her hotel room last Saturday. The cause of her death has not been made public at this time, pending toxicology results.